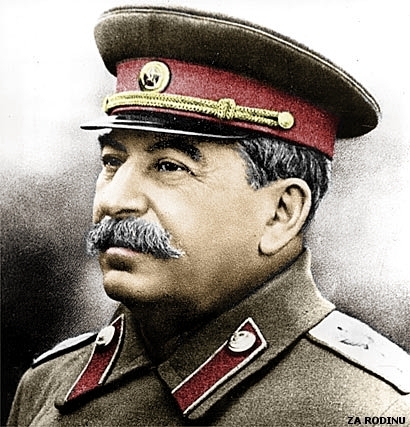 Joseph Stalin was born, Loseb Besarionis dze Jughashvili, on the 21st of December 1879 in Gori, Georgia, Russia. He was the fourth child to his mother whose three previous children had died due to bad health and because of this his mother was very protective of him. His mother worked as a washer while his father was a cobbler. Stalin’s family was extremely poor and experienced reduced living conditions. At the age of seven Stalin contracted the smallpox disease which permanently scarred his face. He was constantly jeered by his peers for his scars who called him ‘pocky’. Since his mother was very religious by age ten, Stalin had to attend a church school where he learnt to speak Russian. When he was 12, his left arm was permanently damage from an accident with two horse drawn carriage. Stalin did very well in school but was eventually expelled when he missed his final exams. After leaving school he decided to become a Marxist revolutionary after reading the writings of Vladimir Lenin and joined Lenin’s Bolsheviks in 1903. He became an outlaw after being marked by the Tsar secret police (The Okhranka) and became the chief operatives in Caucasus where he raised money through illegal activities such as extortion and bank robberies.